An industrial-grade, solvent-based, silane/siloxane sealer, Siloxa-Tek 8510 is engineered to reduce water and moisture intrusion, protect concrete from deicing salts and chloride-ion ingress, and resist staining from oil and fluids. This penetrating sealer dries clear and is an ideal choice to seal concrete, brick, or masonry driveways, garages and patios. Penetrates deeper, lasts longer and provides better stain resistance than the Siloxa-Tek 8505. Driveways/sidewalks, basements, patios, pool decks, garages, chimneys, roof tiles and more. Also used for in commercial, industrial & retail concrete floors and slabs, stadiums, plazas, food courts, parking garages and machine shops. For enhanced performance on horizontal surfaces use a densifying primer, wait 7 days and then apply the Siloxa-Tek 8510. Product arrived within 2 days of placing my order as promised. Its hard to know what type of concrete sealer to select since there seems to be an endless supply of options on the market all touting the same benefits. I settled on this product after speaking with a customer service rep and decided it fit my application better than the original product I was going to use. I wanted a commercial sealer since the last one I used previously didn’t even last 3 months. This one seems to be doing the job much better already and it was painless to apply, had little to no odor (this was a plus) and dried clear with a natural finish that wasn’t slippery. 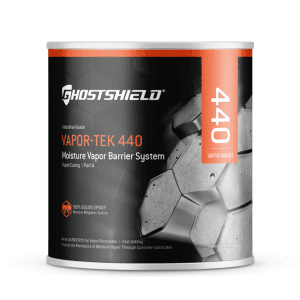 Before choosing this product I did a lot of research, I am not the type of person to make a decision on the fly especially when it comes to a product that means life or death of my concrete driveway. I mean just think about it, if I chose not to seal my driveway it could fall apart and crack and then I would have to replace it which would cost a lot more than it did to seal it. And I am a perfectionist, so in everything I do I always make sure I have the best, wear the best, drive the best and chose the best product . So selecting a sealer is no different, I buy the best. Like I said I did a lot of research before settling on this product. I searched the forums and review sites, (all recommending this product for oil and stain protection – I mean if you are going to invest all this money time and effort you might as well get the one with stain protection especially since it will last for years, the up charge is well worth it over the cost of five years or so). At least that is my theory on it. I called and spoke with a rep on the phone (a very helpful seasoned gentleman confirmed that this was the right product for me.) I ordered 3 of the 5 gallon buckets, shipping was fast (and free so it was for me) and I haven’t looked back since. It took me about a day to clean my driveway, a day to let it dry and a day to seal it but then again remember how I said I was a perfectionist. Followed the instructions on the label, and I watched the video which was extremely helpful. It was really simple but the rest test was about a week later (okay I lied, we cheated and poured water on it the next day even though it can take up to seven days to bead, we got instantaneous beading). Very pleased, service was great, online website ordering was great and the 8510 product seems to be the best. 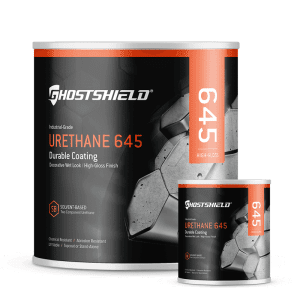 Needed a good product that would offer good stain resistance, I searched high and low and this one was recommended by my concrete contractor and it worked extremely well. As soon as it rained everything beaded right up and the dirt seemed to wash itself away all own its own. Excellent product coverage was spot on, just waiting to see how it performs over time. I am a concrete contractor and I’ve used a lot of different concrete sealers in the past. This product does what it claims. Trust me I’m a professional. I was trying to decided between the 8500 and the 8510 and I decided to use the 8510 even though it is MUCH more expensive I figured if it lasts as long as it says it will be worth it over time especially if something that is supposed to stain it doesn’t. I do not usually take the time to write reviews on things I order online but I had to make an exception because this is one of the best driveway sealers I have ever used. 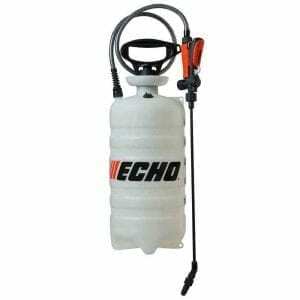 It comes in a bucket, you pour it into a backpack sprayer and you spray it on to the concrete. It doesn’t get much simplier than that. Make sure you apply the second coat right after the first one because it dries quick. About a week later I spilled some Mobil 1 on the driveway but as soon as I hosed it off it was like it was never there, it was like magic. No difference in the surface of the concrete at all, it is invisible like it says. Really saw it working when it rained, my driveway and my neighbors driveway are next to each other and mine was a nice light color where the water didn’t darken it at all and my neighbors was dark and wet. It’s expensive, but worth it. I bought three samples all the Siloxa-Teks: 8500, 8505 and 8510. The 8500 and 8505 look exactly the same they are both white and milky but when you apply them they dry completely clear. Once dry the 8500 beads water and when I say it beads water I mean there are actual little beads on the surface of the concrete that you can blow away. (this blew me away I know you always hear they will bead water but I was not expecting this). The 8505 does not bead water like the 8500 in little balls, instead it beads bigger splotches of water. It still keeps the water out and the concrete dry it just looks different, the 8505 dried a little darker than the 8500 but it was so slight you cant tell unless you go down to the ground to inspect. All that being said the 8510 was pretty cool. It kept the concrete from darkening and I guess the technical term is that it sheeted water. The 8510 liquid itself was clear and it dried completely clear. All three products had virtually no smell and since I was applying samples I used a brush. Did the two coats wet on wet. And ultimately I decided to use the 8510 because it was for my garage and I wanted the oil repellent just in case.